Our used Pennine Pullman 535 is shown below, for more information please contact us. This Pennine features 2 double beds, a well equipped kitchen, and a seating area that converts to a third double. The Pullman is quick erect meaning you can start enjoying your hoilday sooner than ever. If you want more space the 535 comes with full awning, doubling your living area within minutes. 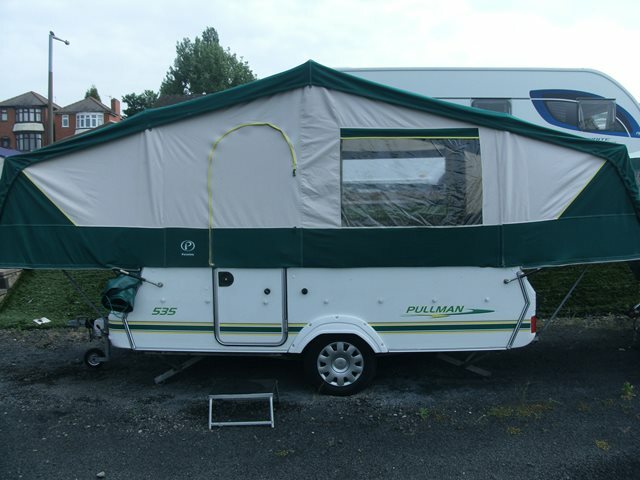 With its low weight and excellent condition, the Pullman is real value for money. For more information please contact us on 01384 636465 and ask for a member of the sales team.